Torry Johnson, an Icelandair passenger was arrested as he left a flight after being accused of stealing $300 from the purse of a flight attendant. Torry Johnson was flying back from a holiday in Iceland when airline staff claimed he stole foreign currency from the attendant’s purse. 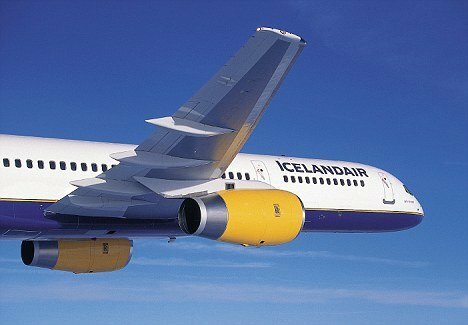 The passenger, who was heading to Boston, Massachusetts, was confronted by angry Icelandair staff while the plane was in the air over Greenland. Police said Torry Johnson returned the foreign currency, before locking himself in the aircraft’s bathroom, where it is thought he flushed the remaining missing cash down the toilet. Officials believe the currency Torry Johnson flushed down the plane’s toilet was U.S. dollars. Massachusetts State Police said they arrested Torry Johnson after he disembarked from Icelandair Flight 631 at Logan International Airport on Sunday at 5:00 p.m. Ground staff at the airport were still trying to retrieve the missing money from the flight’s storage tanks, police said. Torry Johnson was released from police custody on Sunday evening.